Pediatric Dentistry of Ft. Myers, Dr. Tim Verwest, DMD is offering an opportunity to children 13 years or under to trade in their Halloween candy for cash. 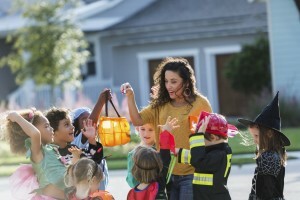 The buyback program is to encourage children to get rid of their excess candy. The pediatric dentist is offering $2 per-pound from November 2nd to the 6th. “We want kids to have fun on Halloween, but also give them an option to do something with all that sugar,” said Dr. Verwest. Dr. Verwest will donate the candy collected to U.S. troops overseas, as part of the Operation Gratitude care packages. Parents must have their child present with them to be eligible. There is no limit on the amount of candy that can be turned in. Candy buyback address is 8016 Summerlin Lakes Dr, Ft. Myers, FL 33907. For more information, please visit www.verwest.com and click on cash for my candy.